Discover Burlington Ontario: Burlington Ontario – A cycling friendly community. Burlington Ontario – A cycling friendly community. If you are a family looking for a safe path to cycle, a competent cyclist hoping to join a riding group or an advanced distance cyclist searching for challenging terrain, you’ll find it in Burlington! A bicycle friendly community. In 2012 Burlington was awarded the bronze designation as a Bicycle Friendly Community by Ontario’s Share the Road Cycling Coalition. Read on and discover why Burlington earned and deserved this honour. Safe cycling begins with a properly fitted helmet but tightening and adjusting helmet straps can be a feat worthy of Houdini. Each May, cycling in Burlington kicks off with the Lids 4 Kids event held at the Burlington Mall. Halton Regional Police volunteer their time to give away and snuggly fit over 300 bike helmets on young cyclists. They also run a safe riding rodeo. Local bike mechanics inspect bikes and do minor repairs for free. Lids 4 Kids is the ideal way for a family to begin the cycling season.
. You can safely bike from Spencer Smith Park across the canal into Confederation Park and be treated to spectacular scenery that changes with the weather and time of day. From the sun sparkling on the waves, to the roar of the waves on a windy day, or the buzzing of jet skis in the water, every day can be different and entertaining as you cycle the Waterfront Trail. There are many waypoints where you can reward the family with an ice cream break or make it an outing and enjoy the famous fish and chip dinner at Hutch's on the Lake. The walls are decorated with historical autographed pictures and jerseys from area sport teams. Families are also discovering the same wide, paved, car-free, cycling paths inland. I use the Centennial Bike Path to get to the library and to shop by bike! The path runs from the down town core to BurlOak Drive and is one of my favourites. Using the branch paths, I bike to a wide range of stores including the Burlington Mall, various restaurants or for quick grocery runs. There are a lot of schools on the Centennial Path so kids could even ride safely to school. Environment Canada proclaims a bike is the best way to get around for short trips. It’s true! I've discovered that for distances less than 5 km., cycling is faster and more efficient than using the family car. The Centennial Path is the ideal way to get across Burlington safely by bike. To turn my ride into a workout, I'll cycle to the end of the paved path at BurlOak, and take advantage of the new wide bike lanes on BurlOak, cycling north to Upper Middle joining a fabulous paved path following Bronte Creek. This is a spectacular route to enjoy, especially majestic and colourful in the fall. Using a combination of side streets I rejoin the Headon Path east of Walkers and cycle back to Brant Street on the paved multi-use path. There are a lot of branches to take you almost anywhere you need to go in northern Burlington and it is a fun way to burn calories and keep fit! After you've become proficient on the paths and bike lanes in Burlington, there are many opportunities to join a group ride. If you've been hesitating to participate in a group ride, don't! 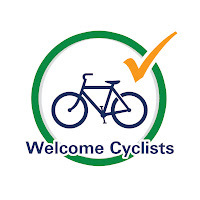 It's a fabulous way to meet like minded cyclists and there's a group for all cycling levels. I was hesitant to join my first group ride at Mountain Equipment Co-op's (MEC) weekly drop-in ride. There were a half a dozen riders going down Brant, along Lakeshore then up Snake Road into rural Burlington. We all got back together, spent 15 minutes talking in the parking lot and had a great time. It’s for “cyclists looking to learn about group riding and to meet other friendly roadies. We meet and finish at Mountain Equipment Co-op in Burlington. Rides will be between 1.5 to 3 hours long, covering 30km to 60km depending on weather and daylight. No one will be dropped.” I've become a regular and look forward to it each week. have cycling groups that ride on trails (a totally different experience from road riding) and a separate group of on-road cyclists from April to October. Riders often stop for lunch and break up into groups of varying speeds for riders of all levels. Some say variety is the spice of life so the Halton Outdoor Club members do year round outdoor activities such as cross country skiing, snowshoeing, hiking, kayaking and canoeing. Another well established group, the Oakville Cycling Club, focuses on group road rides some departing from Burlington. They have ride categories of varying speeds and distances, so you can be certain of finding a group compatible with your skill set. You can “test” ride for free but once you’re hooked, a membership is mandatory. Riding with a very large number of cyclists is a blast and gives you a real sense of community. In September, there’s an opportunity to ride with 300 cyclists in the Share the Road Ride in Memory of Greg. The ride originates from the Kelso Conservation Area, has variable distances of 30-50-100 km with the OPP present at key busy intersections. Snacks and fluids are provided at stops along the route. Following the ride, cyclists can enjoy a meal and festivities. Share the Road hosts several rides throughout Ontario. You can find details at www.sharetheroad.ca. 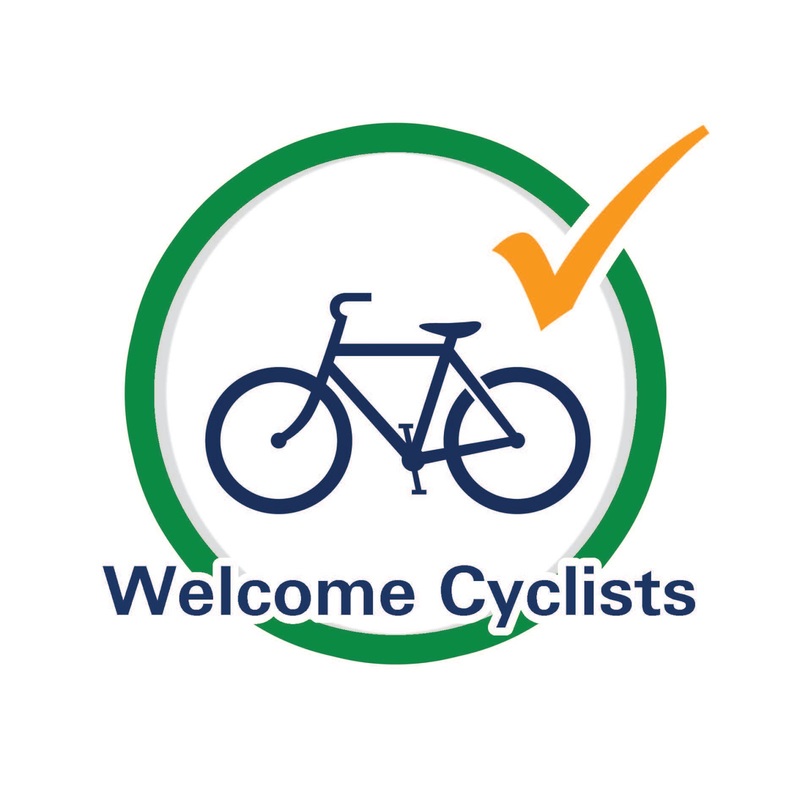 While cycling in Burlington, keep an eye out for the Welcome Cyclists! signs. They are popping up like dandelions in spring. These are bicycle friendly places to eat, visit and even sleep. You’ll find these signs at all of Burlington’s community centres because they are equipped with tire repair kits and pumps. I know this because I’ve had to use them! With its varied landscape, protected bike paths and many cycling groups, its no surprise that growing numbers are discovering cycling in Burlington as a safe, clean, healthy inexpensive even trendy way to get around town and keep fit. Give it a whirl. Gene Wasik is a resident of Burlington, a McMaster grad and an entrepreneur who has grown 2 start-up companies into national million dollar organizations. Gene discovered cycling as a stress relieving outlet and grew to love cycling for its many health and relaxation benefits. 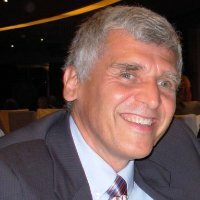 He is currently a director of Share the Road Cycling Coalition, a provincial wide cycling advocacy group and the author of “Bike Burlington,” a blog covering “Everything and anything to do with safe cycling in Burlington, Ontario.” When travelling Gene always checks out the local bike sharing programs.